Supported by impressive performances by Tao Zhao and Rade Serbedzija, this sympathetic, evocative and profoundly humane drama has hailed Andrea Segre as an exciting new voice in contemporary cinema. Shun Li and the Poet [Io sono Li] is documentary filmmaker Andrea Segre's first dramatic feature, and was released to largely positive reviews, with The Observer calling it "A moving and elegiac portrait of dispossessed souls," and Sight and Sound "an aesthetic gem", while Little White Lies labelled it "an insightful character study of the two displaced loners." 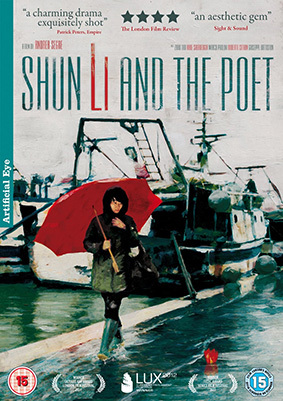 Shun Li and the Poet will be released on UK DVD (what, no Blu-ray?) on 23rd September 2013 by Artificial Eye at the RRP of £15.99. The only listed extra is a theatrical trailer.